If you're looking for a fun and creative alternative to traditional Christmas cards, try sending out a New Year's card instead. From card-crafting projects that start with free printables to those that utilize your stash of scrapbook paper and other supplies, there are plenty of crafty options to try. Jumpstart your creativity and make the card-crafting process simple by using one of these fun, free printable greetings. You can use it as-is or add your own personal creative stamp. Using the printables is easy. Simply click on the image you want, save it to your computer, and then print as desired. 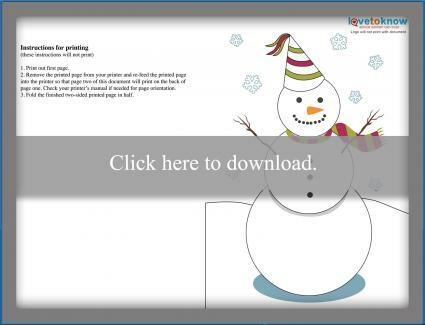 Instructions for printing a double-sided card are included with each printable file. If you need help with downloading the files, check out these helpful tips. Print the design and then adhere it to pearlized or metallic cardstock. This makes it feel more substantial and lets you select a fun color. Use cardstock to print the card onto and add three-dimensional embellishments. Choose sparkling sequins, brads, beads, puffy snowflake stickers, and more. When cutting out the cards, leave space above or below the design. Use rubber stamps to add a greeting or quote. Use a toothpick to apply glue to specific areas of the card and then sprinkle glitter on the glue. Allow it to dry before tapping off any excess. This will give your card a fun and festive look. Print the cards on heavy paper and then use a product like Krylon Glitter Blast to add some sparkle. Use a light coat to ensure you can see the design under the glitter. Make the cards dimensional by printing two copies of your chosen design on cardstock. 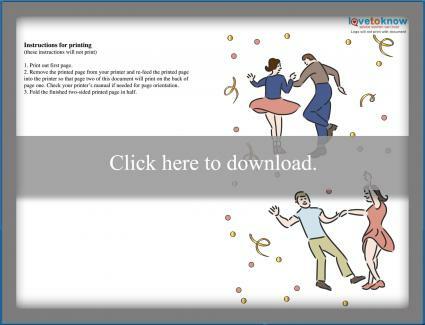 Cut out elements, such as the snowman or dancers, from one of the cards. Glue a piece of foam core board on top of the same design on the uncut card and then glue the cutout design on top. Making cards from scratch is fun, especially if you don't have a lot of people on your mailing list. 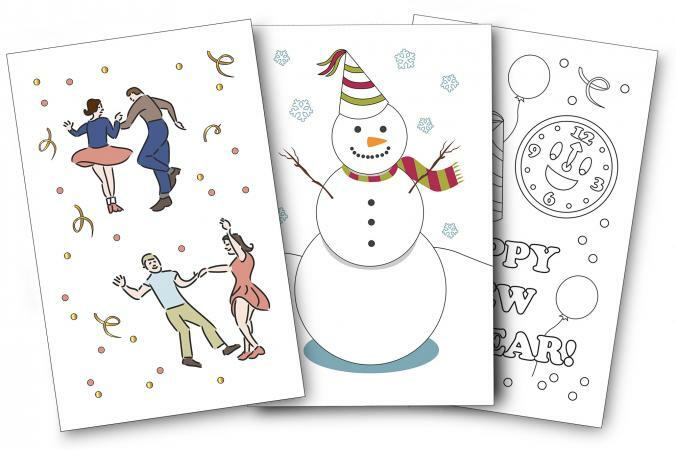 If you have time during the holiday season, give one of these New Year's cards a try. Begin by cutting the cardstock to the size you would like. If you want a card that opens, fold the cardstock in half before you cut. Use craft glue to attach a strip of satin ribbon about 3/4 inch above the bottom edge of the front of the card. Layer two paper hearts over the ribbon near the lower, right corner. Once you like the position, use craft glue to attach them. 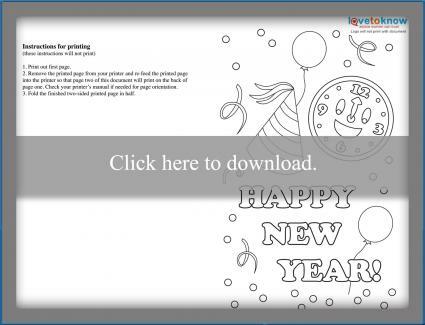 Use stamps to create a "Happy New Year" design on the upper left side of the card. Allow the ink and the glue to dry before writing on the card. Start by taking eight photos to use in your card. Head outside and get pictures of the snow on trees and branches, footprints in the snow, icicles, and other white and clear things. Get four white photos and four with red in them too. For the red, you can use pictures of kids' mittens, flowers, berries, sleds, holiday ornaments, and many other items. Print the photos as two-inch by two-inch squares. Cut them out and set them aside. Cut a 6.5-inch by 6.5-inch square of white cardstock. Use the ruler and a pencil to very lightly draw lines on the card, dividing it into nine squares. Apply photo adhesive squares to the back of the eight photos. Carefully center each photo within the lines you drew on the cardstock, leaving the center of the card blank. The photos with red in them should be in the corners of the card. Erase the pencil lines. Use rubber stamp numerals and a red ink pad to stamp the year in the center square. When the ink is dry, flip the card over to write your greeting on the back. Your New Year's greeting can be as simple as using a snowflake pattern to create a design to decorate a plain note card. Simply cut the snowflake from white paper and affix it to a blue card. Make a quilled card in the design of your choice. Try snowmen, snowflakes, pretty swirls and spirals, and white flowers. Glue the design to a plain card. Since this type of card doesn't do well in the mail, make sure you hand-deliver these greetings. 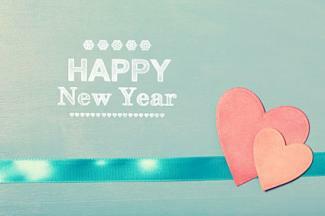 Use scaled-down versions of printable New Year's scrapbook layouts to create cool, personalized greetings. Add your own photos to share with those you love. No matter what type of design you choose, your friends and family will love hearing from you during this special time of year. 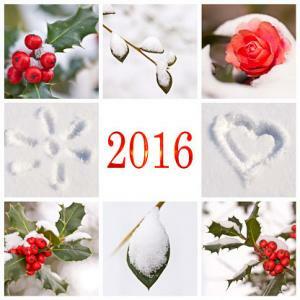 Your handmade card will help them start the new year with creativity and love.